They’re among the most derided films in recent memory, but what will be the long-term legacy of this accidental trilogy of awfulness? As soon as the first press screenings for Life Itself, the new ensemble drama from This is Us showrunner Dan Fogelman, let out, critics began comparing it to two of most savagely derided films in recent memory: 2016’s Collateral Beauty and 2017’s The Book of Henry. While such comparisons must have been worrisome to the makers of Life Itself, they left a small contingent of masochistic filmgoers salivating in anticipation. 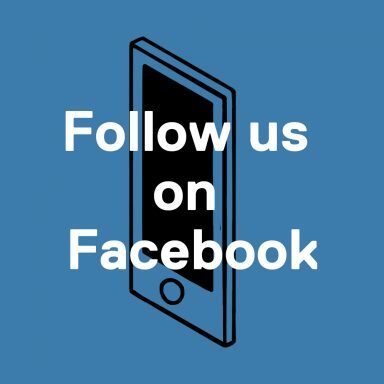 Since their respective releases, Collateral Beauty and The Book of Henry have gained something of an unlikely cult following – and now Life Itself seems destined to join their ranks. This loose thematic trilogy has found an audience not because the films are misunderstood or wrongly derided, or because they fit into the ill-defined category of ‘so bad it’s good’. Their appeal is simple: they are so wrong-headed, so baffling, and ultimately so infuriating, that they must be seen to be believed. At first glance these films seem no different to your run-of-the-mill Oscar fodder. 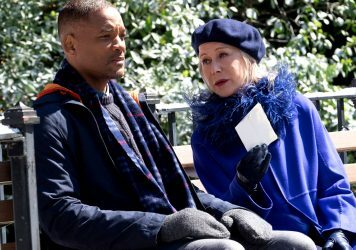 Collateral Beauty, which stars Will Smith as a recently bereaved father who begins receiving advice from trio of visiting angels (representing Time, Love and Death), is modern spin on classic holiday fables like A Christmas Carol and It’s a Wonderful Life. The Book of Henry is a quirky, sentimental family dramedy about a single mother struggling to raise her two young boys, one of whom – the titular Henry – is a child prodigy. Life Itself is a multi-generational family saga brimming with romance, tragedy and an ultimately inspirational message about how the people we lose live on through the stories we tell about them. All pretty standard melodrama fare. But as anyone who has watched these films can tell you (and very well may have, likely over a few drinks), their synopses don’t begin to convey the nonsensical plot twists, unbelievable character choices, bewildering dialogue, eye-rolling pretentiousness, casual sexism, racism and, in the case of Collateral Beauty and The Book of Henry, anti-human sentiment contained within them. To whit: in Collateral Beauty, Smith doesn’t simply receive a visit from some angels – rather, his three business partners (played by Ed Norton, Kate Winslet and Michael Peña) hire a trio of stage actors to play the parts of Time, Love and Death, in order to drive Smith’s character so crazy that they can oust him as CEO of their advertising firm on a medical pretext. 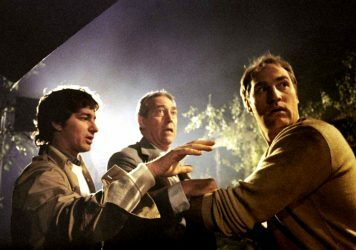 The film treats the business partners as the heroes, and in the end not only does their plan succeed, it ends up helping Smith’s character overcome his grief. As if that wasn’t convoluted enough, in the final minutes the film unleashes not one but two dizzying plot twists, one being that the actors who played the angels were, in fact, angels pretending to be human actors… pretending to be angels. In order to gaslight a grieving father. For money. Which they accept. 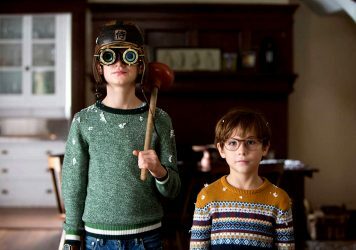 The Book of Henry doesn’t have a twist ending, but it does frequently veer into similarly bizarre territory. What starts out as an insufferably precious throwback to Amblin-era coming-of-age movies (director Colin Trevorrow, fresh off the massive success of Jurassic World, once again attempting to conjure that Steven Spielberg magic), turns into a TV-movie-of-week once Henry is afflicted with a terminal brain disease, only for him to expire around the 40-minute mark. The remainder of the film revolves around Naomi Watts doing her absolute best to make her ditzy, video game-playing single mom relatable, as she plots to assassinate her next-door neighbour (and the town’s Chief-of-Police) on behalf of her dead son. Life Itself, a story-within-a-story-within-a-story – with meta-narrative tricks, digressions about music and literary theory and overt references to other films – is clearly indebted to the work of Quentin Tarantino, Paul Thomas Anderson, Kenneth Lonergan, Alejandro González Iñárritu and, most overtly, Cameron Crowe. While it is certainly reminiscent of the worst qualities of the latter two filmmakers (taking the Manic Pixie Dream Girl trope to sub-Crowe depths, and with a third act that feels like an excised subplot from Iñárritu’s turgid Babel), what it most brings to mind is the over-the-top inanity of spiritual dramas made by the likes of Tyler Perry and Kirk Cameron. The same can be also said of Collateral Beauty and The Book of Henry, and while none of the films espouse any blatant religious sentiment, each one is chock full of the type pseudo-spirituality and moral pronunciations usually reserved for inspirational memes on social media. In this sense, they also recall the two worst Best Picture winners of the modern era, American Beauty and Crash, but with the self-satisfaction and pretensions of profundity dialled up to such an obnoxious degree that even the easy marks that make up the Academy didn’t fall for it. Because of the profit motive central to the film industry, the dictum that ‘every bad poem is sincere’ can’t be applied to every bad film. But it can certainly be applied to these three, all of which are clearly deeply personal projects that the people behind them believed in. Are they truly deserving of their ironic cult status in the name of schadenfreude? Fogelman recently defended his film in the press, accusing his critics of being too cynical and out-of-touch to appreciate the big-hearted sincerity on display. While Fogelman (a white man) immediately torpedoed his own argument by claiming that said critics were exclusively white and male, he did elicit some sympathy across social media, where some wondered aloud if such relentless derision doesn’t indeed cross a line. I would argue that it does not in the case of these three films. Not simply because they are equally careless in their handling of complex subject matter – each film depicts trauma in a laughably unrealistic manner – but because they attempt to define and even treat it by way of treacly homilies, empty rhetoric, and faux-wisdom, all of which they deliver with the self-assurance of lifestyle gurus, corporate motivational speakers, social media influencers, political pundits and every other manner of charlatans and conmen. It’s not that these films are dangerous (they’d have to work on at least some level to be so), but they are representative of the kind of inky morality that is too often mistaken for insight. The befuddled reaction that industry insiders have expressed at Life Itself’s failure (‘It brought Warren Beatty to tears, how could the public reject it!’) demonstrates how such false insight creates an elitist bubble around those who fall for it. If it takes derision to start popping those bubbles, irony and a small measure of cruelty seem a small price to pay.